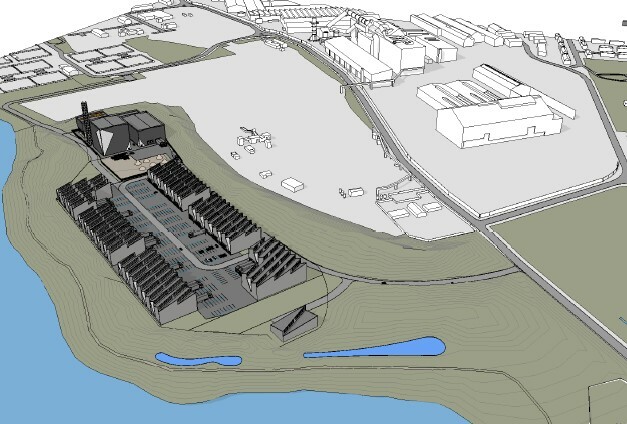 GJP have recently secured outline planning permission for the erection of a 9.5 MW Biomass Power Plant and 130,000 sq ft of low to zero carbon industrial floor space at Land off Rover Way, Cardiff. The permission includes full permission for the creation of a new access from Rover Way and includes permission for the removal of over one million tonnes of overburden and the remediation of Automated Shredded Residue within the land, which is the remanence from the historic industrial operations at the site. It was considered by Members of Planning Committee that the proposed development would provide significant environmental benefits from the remediation of the site and the provision of renewable energy to serve the local area. In addition, the development would provide sustainable low to zero carbon industrial units to support and enhance the economy of Cardiff. The development would also include the significant enhancement of the Wales Coastal Path, which would be upgraded and re-routed through the application site.